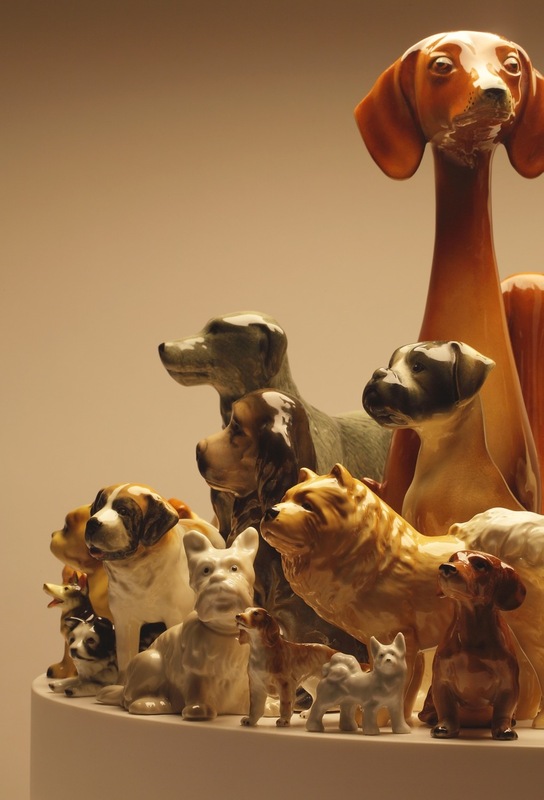 Why do people collect ceramic animal figurines and place them in a domestic environment ? 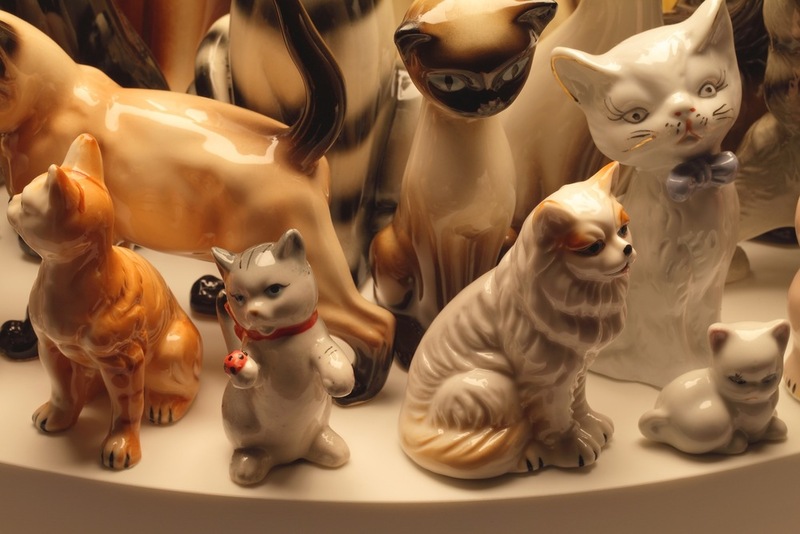 Most households seem to have at least one ceramic animal displayed on a shelf or cabinet, the majority placed in a convenient position with a view out of a window. Going against Noah’s ideology I decided to narrow my collecting to two species of animals. They have become the most popular and widespread of domestic creatures – cats and dogs. We have a close relationship with these animals, to the point where humans themselves are defined as being either a ‘cat person’ or a ‘dog person’ depending on their personality. With this in mind, I wanted to incorporate these figurines into a very domestic object, the standard lamp. The result being a raft like base housing the many breeds, with a warm diffused heavenly light showering down on them. Viewing the animal groups en masse one discovers the idiosyncratic characters, personalities and expressions of each individual animal. Each raft becomes a harmonious pack drifting together on an unknown adventure. 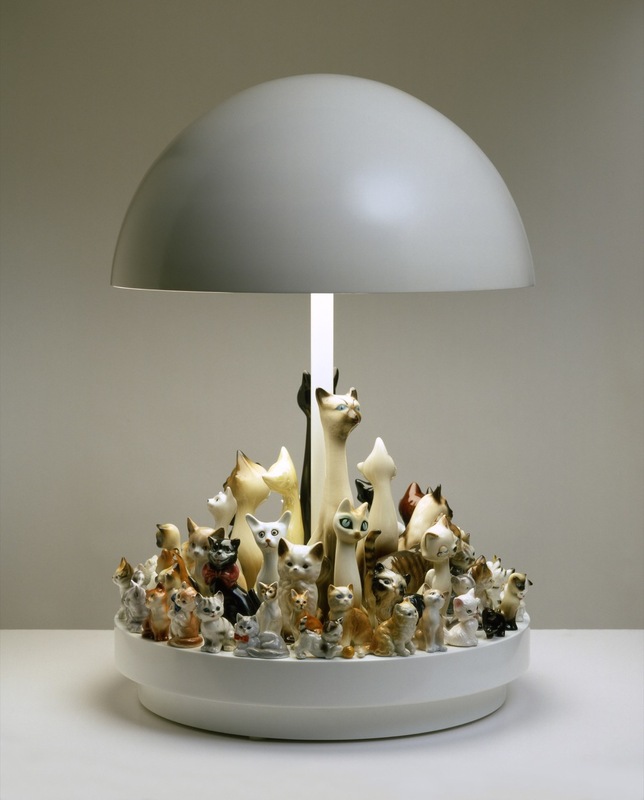 Material – Vintage animal figurines, Corian, spun aluminium.